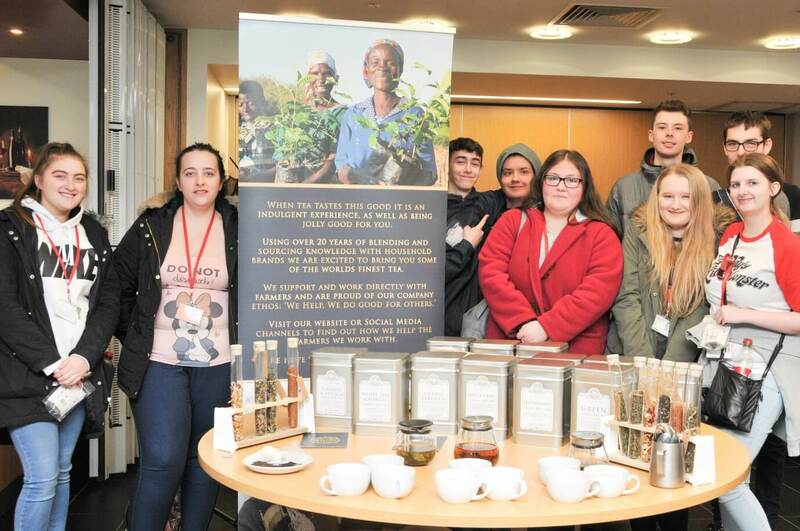 Our Catering and Hospitality students enjoyed a morning of tea tasting from industry expert Origins Fair. Staff from Origins Fair were invited into the College’s Open Kitchen restaurant to exhibit their products and talk about their roles within the catering business. The tea business produces over 50 variety of teas ranging from Bakewell Tart and Melon to Peppermint, Spicy Chai and the classic English Tea. The students took the opportunity to learn about the origins of tea and how the product became a household item. The highlight of the morning came when students had the chance to taste and smell the variety of tea.